DESCRIPTION:I have made 27 Tree Skyline Photoshop Brushes with pictures with my Nikon from various trips I’ve taken around the United States. Inside there are palm trees, city’s, trees, hills, mountains and more! 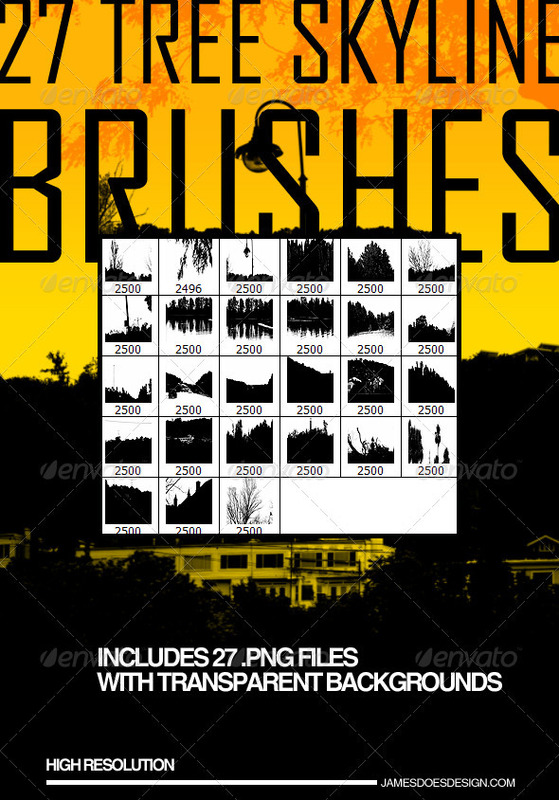 – 27 .png files for lower versions of photoshop or whatever you may want them for. This entry was posted in Addons, City and tagged brush, city, Photoshop brushes, skyline. Bookmark the permalink. Follow any comments here with the RSS feed for this post. Post a comment or leave a trackback: Trackback URL.